Do you love no-bake treats? 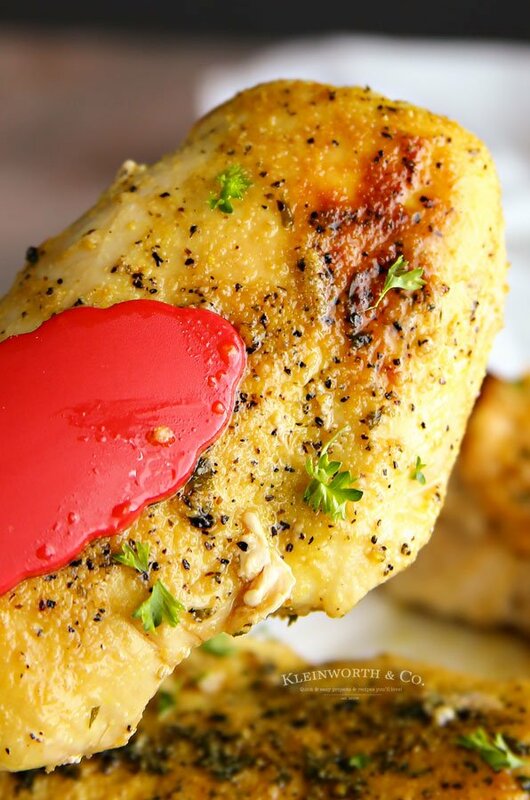 They are one of our favorite things to make in this house because they are so easy. Now that the weather is warmer & we are starting to see more & more fresh fruit in the stores, I just had to make this Strawberry Ice Box Cake that takes just 3 ingredients. Check it out! Yep, you read that right. Just 3 ingredients. You really just can’t go wrong with this one. Oh, did I mention that the prep time is about 10 minutes? 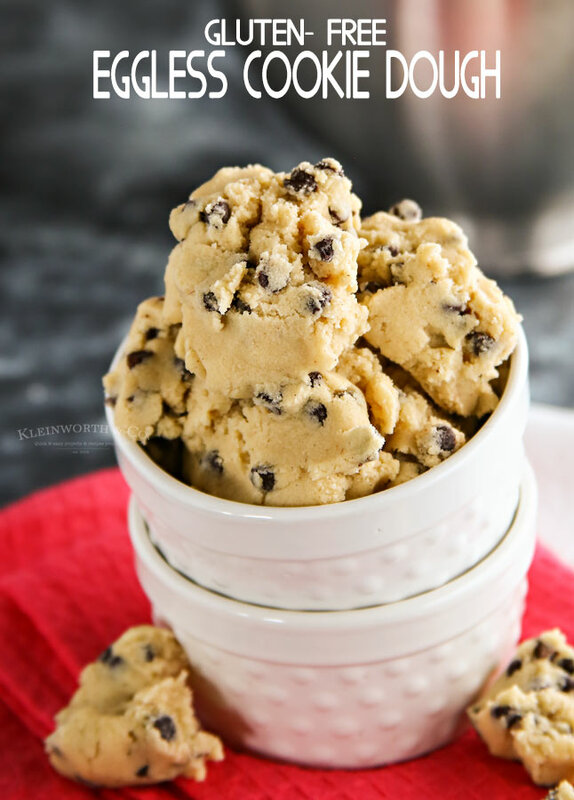 I’m telling you, this will be your “go-to” dessert all season long. 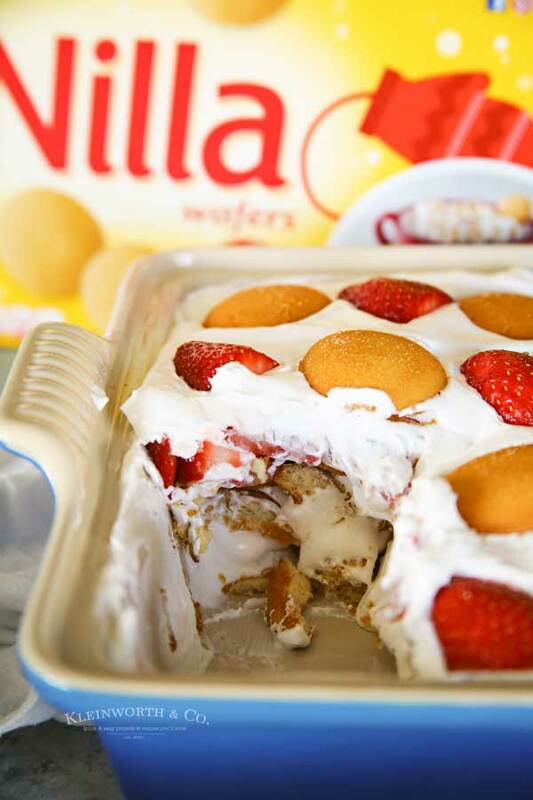 So we start with NILLA Wafer Cookies, whip topping & fresh strawberries. That is all you need for this tasty treat. Then if you can layer those ingredients & be a little bit patient while it chills in the refrigerator for a few hours, you are good to go. 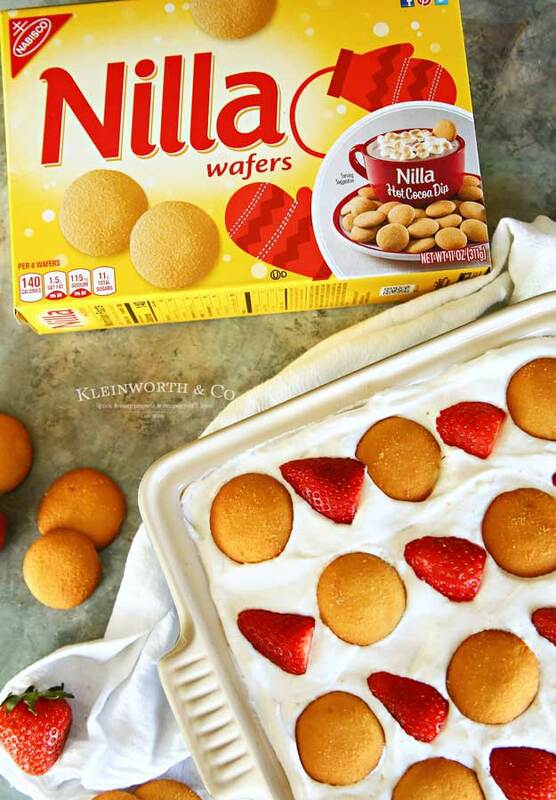 While traditional icebox cakes are made with crackers or cookies, I love making mine with delicious NILLA Wafer Cookies because they are like a cross between crackers & cookies. They are crispy vanilla-flavored wafers with just a touch of sweetness, making them perfect to pair with whip topping & strawberries. 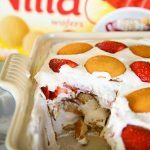 While the most common NILLA pairing is with banana pudding, which is absolutely delicious, they really do pair well with just about anything. I picked up all these ingredients at my local Fred Meyer, but you can find them at any Kroger Family of Stores. 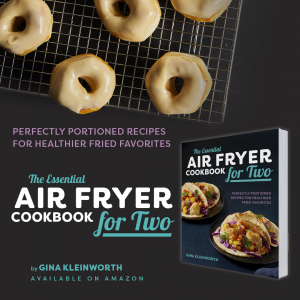 What holidays do you recommend this recipe for? We will be serving this recipe for Easter. 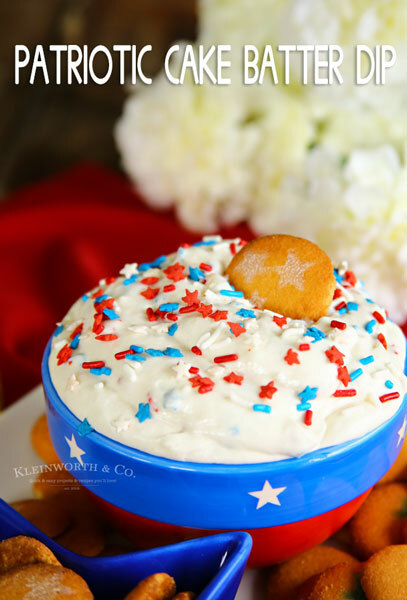 However, this really is perfect for Memorial Day, 4th of July & any other occasion where you want a simple dessert that your crowd will flip for. An icebox cake is a dessert consisting of whipped cream & cookie wafers along with other additional flavors added for variety. The idea is that you layer these ingredients together & the wafers become softened once refrigerated, giving them a cake like consistency. 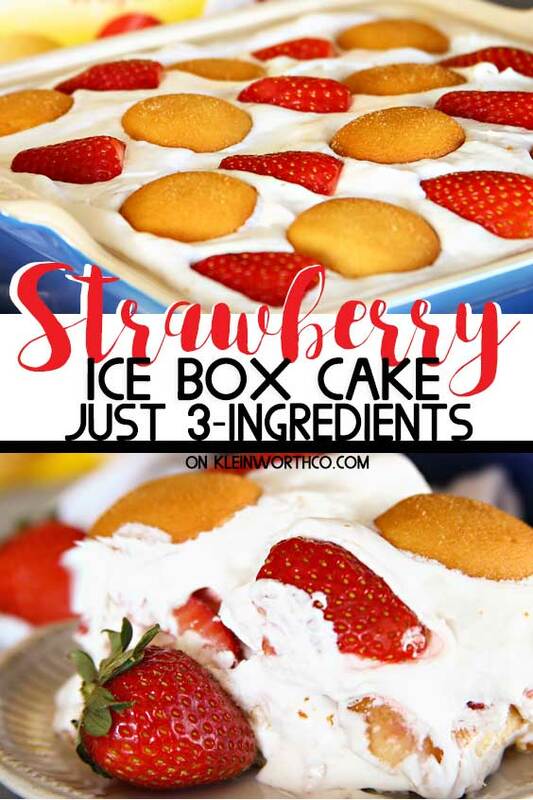 HOW DO YOU MAKE Strawberry Ice Box Cake? Spread a thin layer of whip topping in the bottom of your dish. Place an even layer of NILLA Wafer Cookies on top of the whip topping. Spread a thicker layer of whip topping over the berries. Repeat the process with another layer of NILLA Wafer Cookies, then berries, followed by more whip topping. 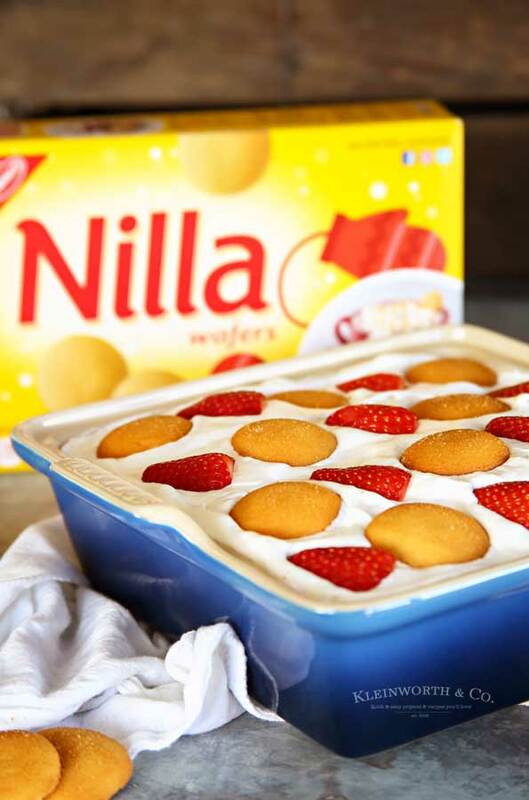 Decorate the top of your ice box cake with more berries & NILLA Wafer Cookies. Refrigerate at least 4 hours or overnight to soften the cookies before serving. 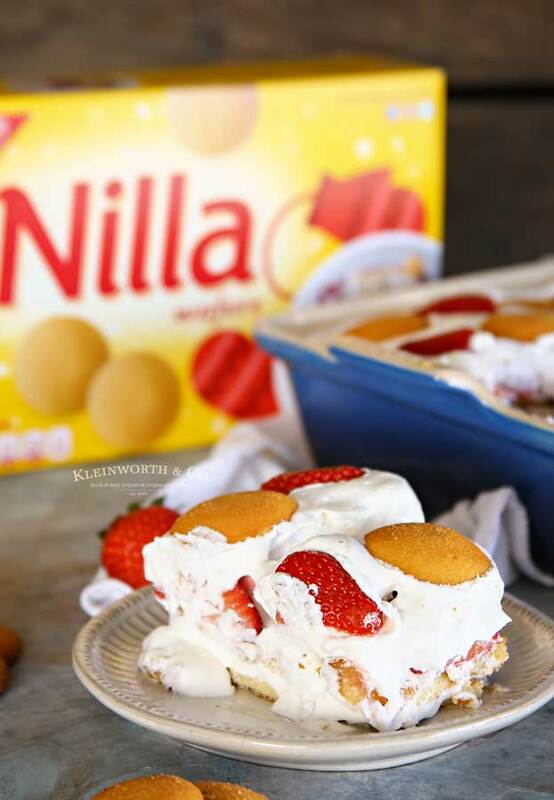 This Strawberry Ice Box Cake made with NILLA Wafer Cookies is a must make! Stop by Fred Meyer or your local Kroger store & pick up NILLA Wafer Cookies today. 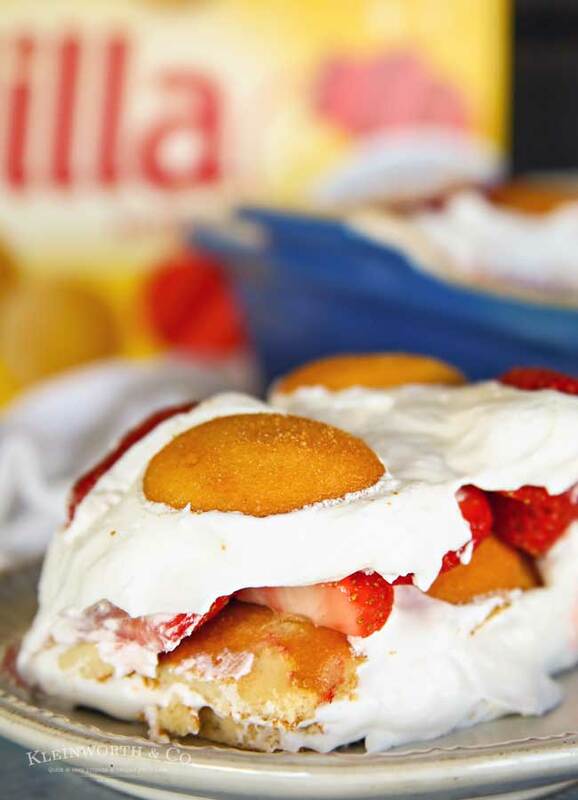 Looking for more ideas for your NILLA Wafer Cookies? 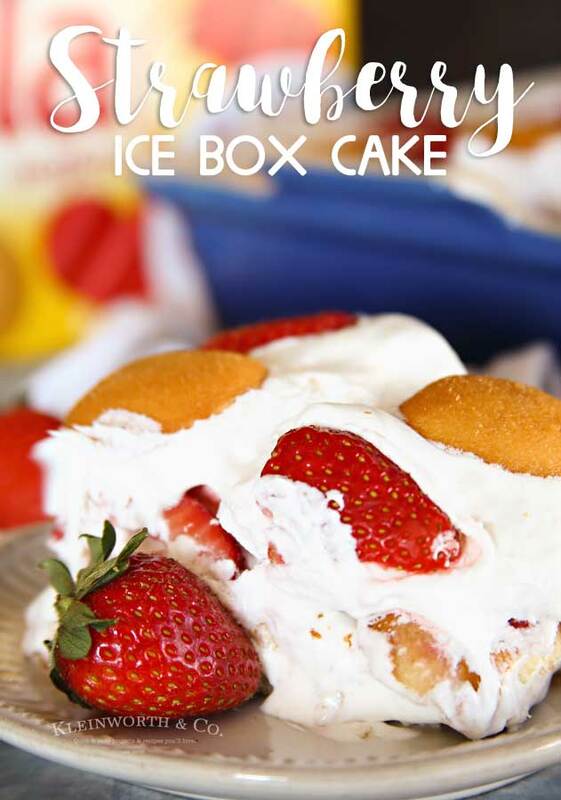 Strawberry Ice Box Cake is a simple no-bake dessert recipe. Just 3 ingredients needed for this easy & delicious treat that’s perfect for any celebration. Spread a thin layer of whip topping in the bottom of an 8x8 or 9x9 dish. Refrigerate at least 4 hours or over night to soften the cookies before serving.